On Saturday, we went into Zion National Park to check out the 2016 Zion Plein Air Art Invitational and see many plein air artists in action on the lawn of the Zion Lodge. I am fortunate to have met a number of these talented artists and even luckier to consider a couple friends. 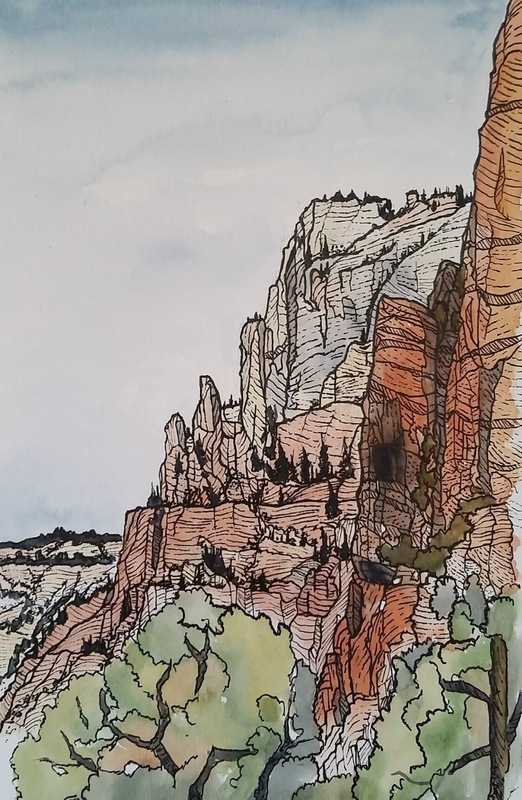 I hung out for a bit with George Handrahan, an award-winning painter, and worked on my own plein air painting of the cliffs in Zion. I did the main watercolor painting while sitting on the lawn, but completed the pen lines after I got home. 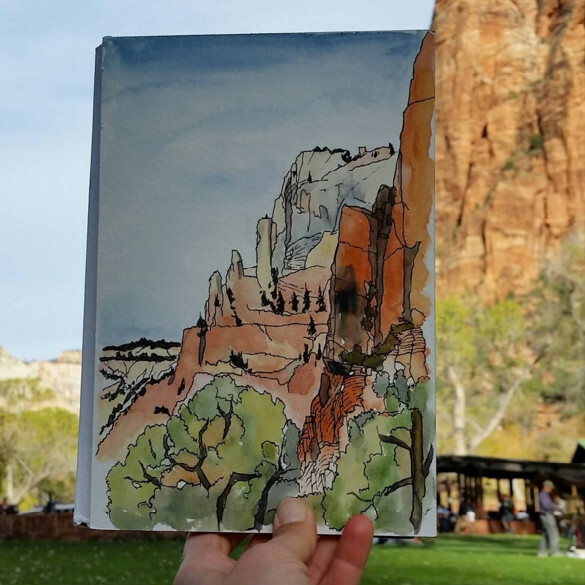 It's always great to get out in nature and paint. Big thanks to George for letting me pester him with questions.